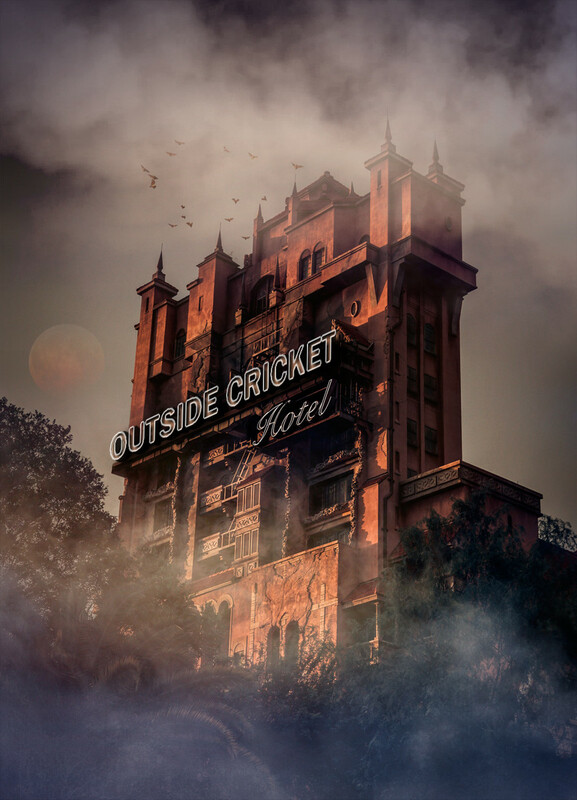 If Day 2 was a very enjoyable day of Test cricket, with first of all England collapsing in a heap once again and then the West Indian team following suit mainly down to the fiery spell by Mark Wood, then Day 3 was the complete antithesis of this. The West Indian side despite taking a wicket with the first ball of the day, looked weary and disinterested especially with Keemo Paul injured and unable to bowl. This unfortunately happens often in a dead rubber game, the series winners can’t seem to find the oomph to drive the final nail in the coffin home and usually what follows is a pretty insipid performance, after all England are no strangers to this, though we would naturally take a poor English performance in this Test for a series win in hindsight. The opening pair of the tourists were once again in the spotlight, with Rory Burns looking to trying to cement his place in the side for the summer ahead and Keaton Jennings playing in what should be his last Test for a very long while. Therefore it must have been doubly disappointing for Burns hit a loosener from Paul straight down the throat of square leg to depart first ball of the day. Burns has looked compact and in control of his game in this series much as he did in Sri Lanka but the lack of a significant score must be playing both on his mind and those of the selectors. In retrospect, he can be seen as quite fortunate that Jennings at the other end has looked like he has never picked up a cricket bat before. Jennings ironically looked better than he has for the whole series, almost if he was resigned to losing his place after this Test, but having moved to a score of 23, he then managed to miss a ball going down the leg side, which then flicked his stumps and removed the bails. It was a sorry way to go for the soon to depart England opener, but equally rather sums up his unfortunate time at the top of the order. It’s sad to say that Jennings, much like Gary Ballance before him, found his technique wanting at the highest level, but instead of working on his flaws like many used to when they were discarded from the Test team and sent back to county cricket to fix these. He has found himself back in the side without making any significant changes to his technique due to the lack of talent in the ranks. Sadly the result of this was always going to be inevitable failure. Joe Denly came in and chanced his arm somewhat but also played some good shots on his way to making 69, even if he will be horribly upset by his dismissal which was a lose waft at a wide delivery from Gabriel, when a century was on the cards. Denly has looked far better this game than he did on his debut, though that couldn’t have been too hard and has at least given the selectors a bit of food for thought. One thing I would say is that this is not the motivated West Indian attack of the first two Tests and he still didn’t inspire a lot of confidence at the crease whilst he was batting, so continuing to pick him on one decent Test Innings should be regarded as a rather rash state of affairs (see Mark Wood also). One would think that Denly needs to score a mountain of runs in the first division this summer to keep his name in the frame, something that his average of 34 in first class cricket suggests he might not be able to do. Still England’s complete lack of options at the top of the order may save him for the First Test of the Ashes, though equally I’m sure the selectors are desperate to select James Vince again after a few pretty half centuries. The rest of the session before tea was very much after the lord’s mayor’s show with Root who has been seriously out of touch all series trying to graft himself into some sort of form and Buttler, who quietly has been the most impressive of England’s batsmen over the past 12 months, milking a tired and under-strength West Indian attack. If watching 2 part-time spinners (though one of them still managed to skittle our batting line up in the First Test) lobbing pies as the English batsmen is your thing then you were in for the treat, most I suspect turned the channel over, another pitfall of the dead-rubber. The only slight panic was when Buttler was given out caught by Rod Tucker when the ball was nowhere close to the bat and thankfully is the sort of howler that DRS was originally bought in to try and eliminate. Root quickly reached his half-century after tea with Buttler reaching his 50 not too long after. The snooze fest was briefly livened up with the introduction of the 2ndnew ball with Buttler bowled by a cracker of a delivery by Kemar Roach; however at 375 ahead with 6 wickets remaining a huge collapse was going to be necessary to interest even the most ardent of Test Cricket fans. Both Roach and Gabriel bowled very well with the new ball and made the ball talk, indicating once again that the effective use of the new ball is key on this pitch, but Root and Stokes survived the onslaught to put England in a commanding position. After surviving a testing new ball period, Root finally went on to make his 16th Test century which would have been a blessed relief as he has looked as ‘out of nick’ on this tour as I’ve seen him in a long time, though no doubt tinged with regret as he could only make a significant score when the series was already gone. England now with their bowlers health in mind and wanting to give the West Indies a taste of their own medicine by keeping them out on the field and bowling on a hot and humid day, should have more than enough to win this Test from here. One would imagine that they will try and bat until lunch tomorrow and gain a lead of around 550 before re-inserting the West Indians. Not that this at all matters because we have already lost the series and this only saves a modicum of embarrassment. I’ll be interested if this is reflected in the final thoughts from the England camp at the end of the series. 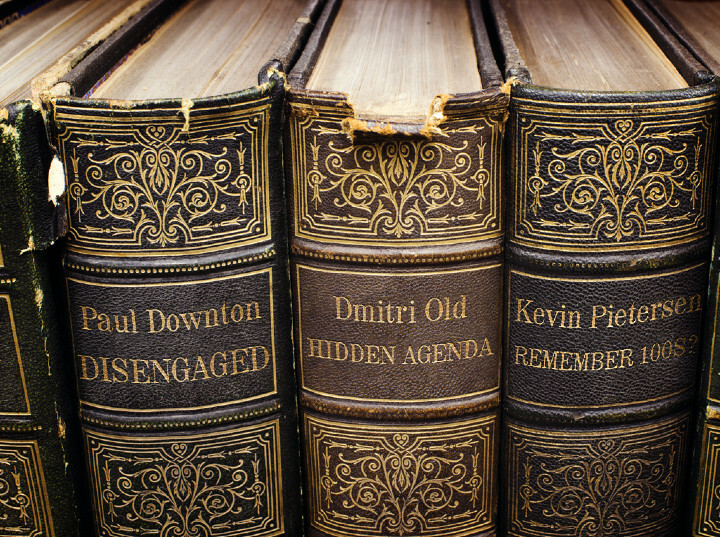 How did I find the blog: A latecomer to HWDLIA who then transferred over to BOC once Dmitri set up the new site. A few guest posts later and suddenly I find myself writing for the blog. Favourite English Cricket moment: Alastair Cook being hit in the balls…Oh and the 2005 Ashes. It probably won’t be a full live blog the way the last Test was, but we’ll open this one to have a place for discussion given how there’s a lot of content on the site at present. 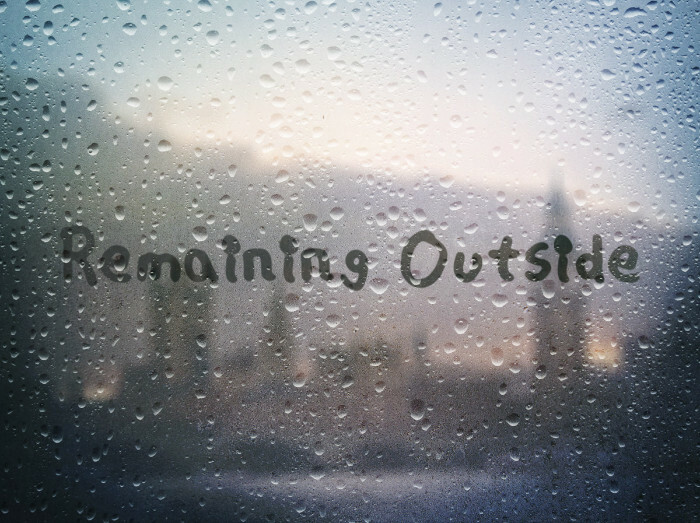 We’ll all chime in at different points during the day, but over by over it isn’t. England have lost the toss and will bat first. What could possibly go wrong? This doesn’t look a particularly quick pitch at all. All the talk about St.Lucia having the fastest pitch in the Caribbean. All in all a pretty decent session from England. Jennings went in familiar fashion, but they’ve been a fair bit more restrained in their play, and left better than in either of the first two Tests. Whether they can go on from here, well that’s a different question. We sit here, patiently awaiting the collapse. Buttler and Stokes have done rather well here. It’s been a busy old week for the site, and Sean’s piece about the ECB, the Test team and the county set up has attracted lots of deserved attention. For those yet to read it, it can be found here . For England, there is the small matter of a Test match in St Lucia to deal with. Having been comprehensively walloped in the first two Tests, England will go to St Lucia knowing it is likely to be the quickest pitch of the series, as the hosts finally appear to have realised that playing to their strengths reaps dividends, especially against teams who have shown a marked dislike for pace and bounce. Whether it is as uneven as the Antigua surface is to some extent beside the point, England have struggled badly on perfectly flat quick, bouncy pitches in recent times, and the insistence of the ECB on producing slow, low tracks at home, allied with the pushing to the margins of the red ball county game mean it is hardly surprising that England batsmen react as if stung by a wasp when they come across bounce and pace. Still, that’s no kind of excuse, given it’s entirely of their own doing in the first place, and the lack of preparation – or more specifically the apparent preparation and selection for the kinds of pitches seen in years past are a failure of planning that hasn’t attracted as much attention as it should have. England’s first Test selection was utterly wrong, and how they got it that wrong should receive more scrutiny, beyond simply blaming captain and coach. This time around, they at least don’t have to deal with trying to bowl to Jason Holder for a day at a time, banned as he is from the match for a slow over rate. There has been much sympathy for him, but in principle the decision is fair enough – it is the lack of consistency that is the problem. However, it needs to be said that much noise concerning slow over rates comes from the likes of us, while anecdotally, it can’t be said that it is a pressing concern for most, which perhaps puts us as outliers. To replace him, the West Indies have called up an all rounder in Keemo Paul as a direct replacement, and another fast bowler in Oshane Thomas. Which they go with will say a lot about how fragile they believe England to be after their previous drubbings. For England, unless injury forces a change from Stokes and Foakes, if they do change anything it is most likely to be to bring in Mark Wood, who whatever his shortcomings in his career to date, and injury has plagued him, is certainly the only member of the squad who might have the pace to match the West Indians. It really is like being back in 1985 – all we need is for someone to talk about meeting fire with fire. If this is what England go with, the player at most risk is Sam Curran, keeping up the fine tradition of England replacing a bowler when the batsmen fail. Wood himself directly commented on that, in a delightfully off message observation that will not have endeared him to the England hierarchy. Optimism is in short supply, but it is always possible that England will have learned some lessons from the series to date. Perhaps they’ll bat more responsibly, and not assume they are in a one day international. Perhaps they’ll consider occupation of the crease to be a valid aim. Perhaps they’ll bowl to do more than try and invite the kinds of reckless shots that England batsmen make. But the evidence to date suggests it unlikely. Still, that’s the beauty of sport. The absence of Holder would make any England win slightly hollow, and it could be argued that for England to really look properly at what has happened on this tour and why they need to be resoundingly beaten so no one can try and look for the positives. Yet the ECB in recent years seem to care not a jot for reverses (away Ashes whitewashes are brushed off as being of little consequence, especially when they can’t blame the same person again) , content to win mostly at home and occasionally away if playing an understrength opponent. This tour will be forgotten quickly when the World Cup comes around, though that does highlight the importance of England winning it to remotely justify the sidelining of the Test team, and the selection of a near on one day batting line up in the Test arena. 2019 does have the potential for the ECB to claim all is well and pat themselves on the back for their brilliance, but there will undoubtedly now be a few nervous glances over a shoulder or two at Lord’s, and so there should be. It’s been a high stakes gamble, one which requires everything for the remainder of this year to go right . The problem is that their concern is on the basis of how it reflects on their strategy, not a care about the game of cricket as a reason in itself. None of this should be a surprise to anyone. It still isn’t that England are an awful team – faced with friendly conditions they are a match for anyone. But they have been found out away from home, and their limited approach does not serve them well in alien surrounds. Whoever would have predicted that? This will be a pretty short post, I promise. By my standards. We, in Outside Cricket land, are not going to be strangers to this argument. The fact that the game has been hidden from view on pay TV is a common thread of comment over the past four years – five if you include HDWLIA. The sheer fact that in the new deal for the Hundred (and other associated packages) that the ECB has felt compelled to put some of the sport on so-called Free-to-Air is an admission of error. The sport left that medium in 2005, and has paid dearly for it. It isn’t the only reason we are in the mess we are in with the game – envy, greed, stupidity, stubbornness, short-termism have manifested themselves in other ways over the years. But there is no doubt that keeping cricket locked away on Sky has been a real problem. They are prepared to pay the big bucks, but for how long? Viewing figures don’t seem to justify it, even for football. For instance, when Millwall played Blackburn on Sky, who outside of the fan-bases of those two clubs would have given a stuff about it? I can’t imagine viewing figures were much above 20000. Yet the deal pays the clubs quite a bit of cash. I don’t bet, so all those adverts are a total waste of time for me. On the Friday before England’s defeat at Trent Bridge the BBC staged a smiley and slapstick Twenty20 match between Test Match Special and the Tailenders Podcast, with a few famous faces thrown in. Though fun, it was barely benefit-match standard. But it drew 5,000 to Derbyshire’s County Ground and, more eye-catchingly, a television audience of around 400,000 via the red button. The BBC had similar numbers for the first TMS match in Leeds last year, too – 400k plus another 100k via the iPlayer (around as many as watched the last day of the first Ashes Test in 2015 live) – such that the comedian Miles Jupp in his speech at the Wisden dinner in April quipped about the “frightening statistic” that more people had seen him play cricket on terrestrial TV than Joe Root. And make that Alastair Cook, who’s entire career was played behind a paywall. If you did not watch the highlights, or the Sky live coverage, Kevin Pietersen probably still has that badger haircut and bad teeth! At the weekend the US played its most prominent sporting event, the Superbowl. Each weekend during the season a game is played live on CBS, Fox and NBC. An additional game is played on ESPN which most, not all, cable households have in the US. NFL Network also has a game, but it’s not always a top drawer and each team can only play live on it once a season. The thought the whole sport could be stuffed onto a pay TV network would be seen as ridiculous. Unless you do what MLB does, which is offer a brilliant, almost total online package for £100 for the season, and you can watch what you like when you like (with very few exceptions, and with local black-out rules for local TV). I have heard people like Selvey moan at the likes of us for saying that the return to FTA would not be the cure-all we suggest. Well he’s sticking up more strawmen than a Wizard of Oz rehearsal in that sort of argument. It’s a bit like a smoker who has given up for a week moaning about a lung cancer diagnosis because he’s quit. The long-term damage has been done, and while packing in was a good idea, it’s not going to cure the sins of the past. The audience for cricket has moved on, while the audience for live sport has still got legs, as proved by the ratings for the Six Nations – wisely kept largely on FTA for the duration. If there were a vision, and if there were a way, the 2019 World Cup would be on FTA. Sky should open it up to all, all the time if they give a crap about the sport, and want to keep their superior production values that everyone bangs on about (hey, didn’t Channel 4 do a really good job too?). We spoke with a journo before Christmas who asked whether we thought if England made a great run to the World Cup Final, if it would capture the nation. 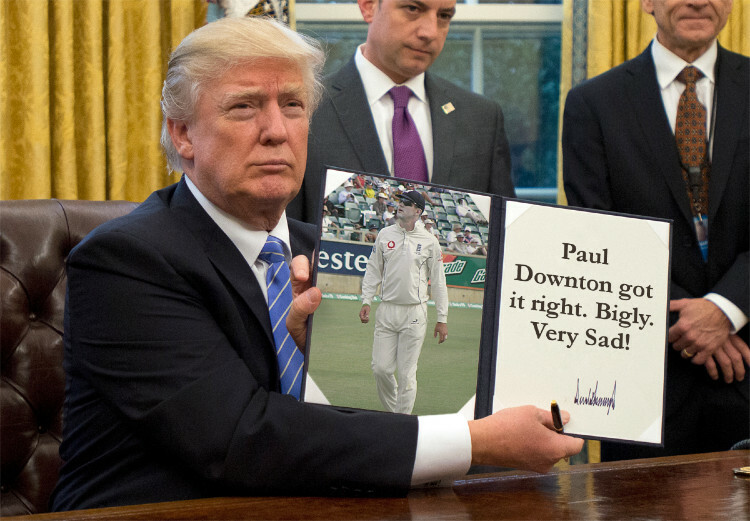 While we (Chris and I) both thought it would not do any harm, we were doubtful that the nation (outside of cricket fans) would care. Because they would not be able to see it. I’d love Sky to announce that if England make the semi-final, that they would broadcast their remaining games to all. I am not a fan of the Sky Sports Cricket Channel. I’ve seen the re-run of that T20 Final and Carlos Brathwaite an inordinate amount of times. They have cut the number of countries they are taking cricket from instead of increasing them. They have endless loops of repeats. If the ECB won’t give up all the old England highlights, then they are more myopic than I give them credit for. Same with any board not wanting to give the game cheap, free publicity from the derring-do of the past. 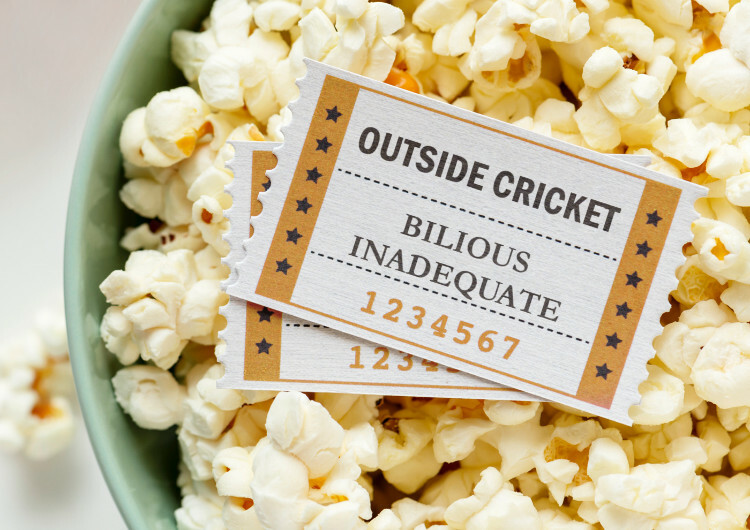 There’s not a market to watch re-runs of Lara and Tendulkar, Warne and Murali, Curtly or Hadlee? Really? Better than that Legends of Cricket stuff of nonsense. 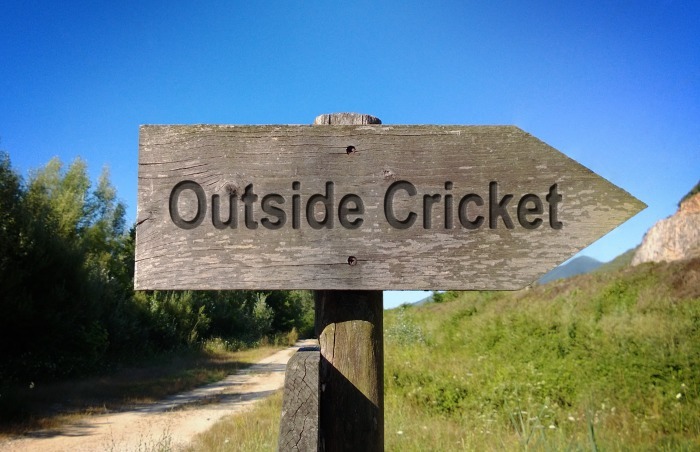 Cricket needs all the help it can get, and while the Premier League is cited as the example of the success of Pay TV, it remains to be seen how successful that has been in terms of engagement. The playing fields near my house certainly have a lot fewer games on them than when I saw as a kid. 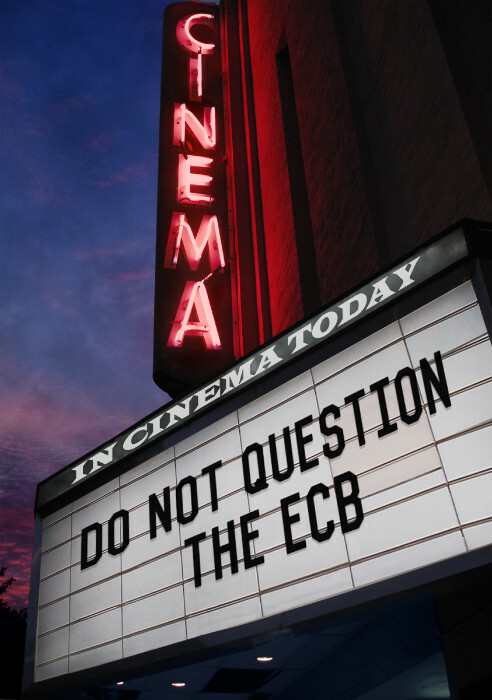 The ECB need to decide what they want from their cricket. Do they want Sky’s (or BT Sport’s which is another topic) pounds, or do they want to get more people watching it (live and on TV), more people talking about it and ultimately more people playing it. They want both. Good luck with that. We’ll be busy this week. The early part of February is always a key one for us. A few things to commemorate. In a routine increasingly, and annoyingly, used by many films these days, let’s start at the end. Let’s give a taster of what’s to come by embracing the epilogue. 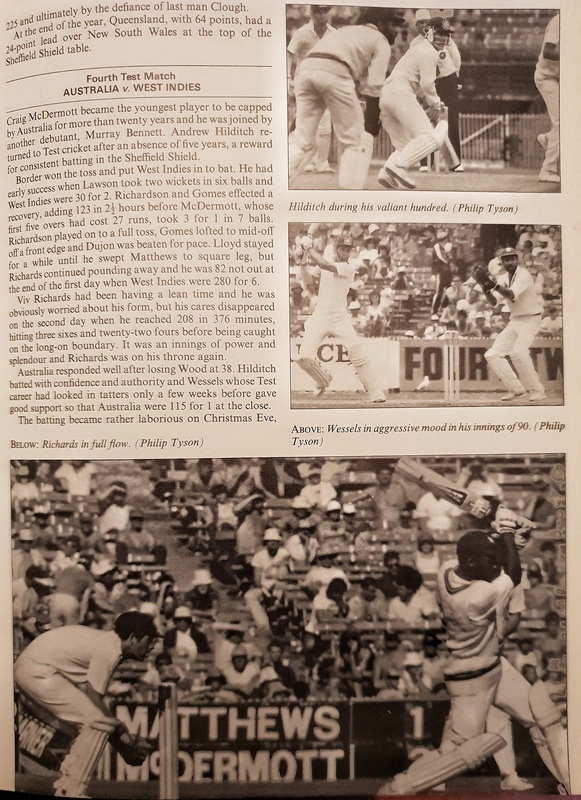 The Cricket World Cup of 1987 coincided with my leaving home and running off to Liverpool University to study, in the loosest sense, and to actually grow up as an individual. I was the one member of my floor in the Halls of Residence to have a colour portable TV, and so immediately gained many friends. The first month of my “study” coincided with the first World Cup outside these shores, and England, somehow, someway, managed to make the Final. A final against Australia. How could we lose? We’d defeated India in their own backyard, with a majestic, sweep-fest hundred by Graham Gooch. We’d won ODI competitions for fun against the same Aussie team just 10 months before – the Perth Challenge and then the World Series Cup. Sure, 1987 wasn’t the best domestic summer on record, but we’d still won the highly charged ODI series against Pakistan. How could we lose? So they had won in Pakistan to clinch their place in the Final? So what? Inflection Point – a point of a curve at which a change in the direction of curvature occurs. (in business) a time of significant change in a situation; a turning point. We left the last piece after the heroics of Headingley. A slog gone right, a pitch gone bad, a win for the ages, a DVD and TV repeat for many a rainy day. Up there with Edgbaston 2005, and if it had been played when we were awake, a test to follow around 18 months later – but we’ll get to that. At the time England won that game, the direction of the series seemed to turn, but then we had Edgbaston 1981. This was a very curious test match in more ways than one. Botham with the bat was largely anonymous, but to be fair, so were most others. The stat Richie Benaud seemed most keen on was that no-one, on either side, managed a half-century in the match. England made 189 first up – Brearley top scoring with 48, Botham next best with 26 – but on what looked a good surface, this was inadequate. Or so we thought. Australia took a first innings lead with a score of 258, with Hughes (47) and Martin Kent (46) making the largest contributions. John Emburey, in the side for this game took four wickets. England made 219 in their second innings, and it would have been a lot worse but for John Emburey scratching out 37 from number 10. But 151 runs to win. Lightning could not strike twice. This test match had Sunday play, and what I distinctly remember from an early part of the day was Peter Walker, who used to get the first 20 overs of the Sunday League coverage that BBC had in those days, got a short commentary slot. It was enough for him to get a wicket – well Willis probably did, but who is complaining? It was the important one of Kim Hughes. However, Australia never really looked out of control, and again England needed to get out both Hughes and Border for me to believe they had a shout. Border had been promoted to number 3 and looked solid. He and Yallop put on a 50 partnership for the 4th wicket before the former captain was caught by Botham off Emburey. Martin Kent took the score to 100, and slightly beyond, but then Border went. There’s a great photo of the appeal, I recall. 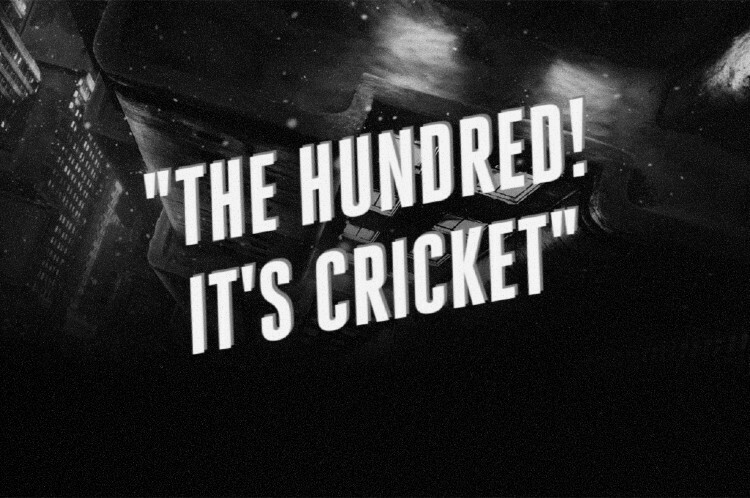 So 40 odd to win, Benaud saying that no-one would now make a 50. And then, if my memory doesn’t betray me, BBC went off to another event – looking up on Wikipedia, the German Grand Prix was on. After an interlude the BBC came back, and I believe they were midway through “the spell”. So we were treated to a catch-up (please forgive me Beeb if I’ve got this wrong). ooooh. Marsh bowled by Botham. We’re into the tail, I thought. Wait a minute, he’s got Ray Bright too, first ball pinged LBW. Game on. Hang about, they are showing ANOTHER Botham episode, what happened here? Blimey, Dennis Lillee has nicked it, Bob Taylor’s doing a juggling act, but held onto it, wait, why isn’t Constant giving this out, oh yes he has? Bloody hell. And then they went live…. Or I’ve just made this nonsense up. Sunday Grandstand was possibly in its first year – I don’t know, look it up (I did, it was) – and they were doing it because things like the Wimbledon Final were moving to that date (but didn’t that year, because that was the last Saturday final) and Grand Prix were also on Sundays. Anyway, the denouement was live. Botham steaming in, and cleaning up Martin Kent. Steaming in, and cleaning up Terry Alderman. Stump plucked out at both ends, Botham charging. Me just loving it. You don’t get better than that. On to Old Trafford. Don’t remember much about the first day, and also recall knowing sod all squared about Paul Allott, who was making his debut. Tavare was also in, and his batting became a watchword for slow – he went into childhood cricket vernacular. Play defensively and you were called a Tavare. Which was worse than being a Boycott. Anyway, it was Allott’s batting the following day that I remember. When I was a kid, mum and dad used to go shopping at the very fancy, at the time, Riverdale Centre in Lewisham. This Friday morning we were dragged along for the ride, with the promise of something nice from the new world of Sainsbury’s. However, I do recall, while my parents were somewhere else, sticking myself infront of an electrical store that had the TV on. It had England on. I caught the end of Paul Allott’s riotous debut half century. The last two wickets, one of which was Tavare who had batted nigh on five hours for 60 odd, put on nearly a hundred. Returning to the TV store a little later, I watched Australia collapse in a heap. Hilarious. Richie Benaud moaning about Australia batting for a ridiculously small amount of overs (30.2). Once Australia were dismissed, England set about adding to their unexpected lead, and we were treated to epic Boycott and Tavare. I went out and did something less boring instead. Why don’t you? The following morning I think we scored around 28 runs in the entire session, losing wickets. Except Tavare. No, he stuck to it. No attack, shotless, dull. This was Saturday Grandstand on the Beeb, and this meant horseracing, so the afternoon session was broken up by whatever meeting was on at the time. So we missed the start of the Ian Botham fusillade. Now several innings throughout the time I’ve watched cricket have stuck with me for their brilliance. Viv in the 1979 World Cup Final, Viv’s hundred against Surrey in the B&H Final, KP at The Oval, Thorpe’s Barbados knock, to name a few. But this Botham hundred is up there. As a 12 year-old I was transfixed. The sixes swatted off his eyelashes with no helmet on. The utter carnage as the mighty DF bat smashed shot after shot. People stopped to watch. This was the way to entertain. Match in the balance, play massive innings, match no longer in the balance. We lived in different times then, but people talked about it. My mates who I played cricket in the street with wanted to talk about it, to play like it. It was great because it was exceptional, and because there were fewer avenues of entertainment to pursue, but we are not comparing like with like. It was important because this was Australia. This was Dennis Lillee, the scourge of 1974-5. This was an Australian side there for the taking. Little did I know, then, that such joy against the old enemy would be so rare. If I did, I’d have appreciated it more. But what to appreciate? I remember Mike Whitney being plucked from county cricket on one of those sponsorship programmes (and had been on TV a week or two before in the Sunday League playing for Gloucestershire) and being the poor sod under a steepling shot from Botham. It went miles up in the air. He circled around, hopelessly clutching, and it went down. I also remember, with that pedantic picking-up of any error, Jim Laker saying for the shot that got Botham to a hundred that it was a marvellous way “to get to a six”. Or was it wonderful? But other than that, it was the smashing Lillee to the scoreboard without actually looking at the ball when he hit it. And then there was Tavare. At the other end for the entire innings, unfurling a wonderful cover drive, then hibernating again. And as if that wasn’t enough, recalled Alan Knott made a fifty, and it was the first time I’d ever heard the phrase “that’s a good hand” in terms of a batting performance. Another Benaud-ism. All this and we were packing to go away (Portugal this time). I went on holiday the following day, and had a long wave radio. We found out on the Monday that the game had been extended, but that we finally won – Rodney Marsh had me nervous on the one spell I caught on the World Service – but the Ashes were ours. No big deal, we were used to beating them. The sixth test was memorable for a couple of reasons. Paul Parker made his debut, Dirk Welham made a hundred which Kim Hughes almost certainly delayed the declaration for (and for which I experienced, for the first time, Aussies tut-tutting about a personal achievement over team goals – more of that to come), and then using the whizz-bang Sanyo Music Centre to record my own commentary of the final day, which I soon got bored with. And that’s the point of the detailed recollection of 1981. 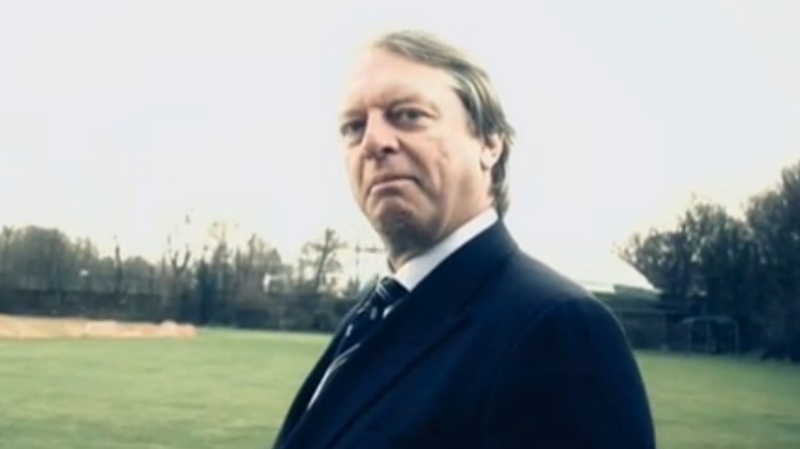 I played a poor standard of school cricket, we were a lousy team, but I had got a reputation as a doughty, boring, opening bat. Watching your heroes, those stars of the screen, play made you love the game more as you strived to succeed in your own performances. It gave you something to love. County cricket, in the form of the Sunday League and the Gillette/NatWest Cup and the B&H also raised profiles, and gave visibility to other talent. But England v Australia seemed to captivate those older than me, and you sort of wondered why. There was no sign of Aussie self-confidence. That would come soon, though. Australia contributed, but they were nice because they were beatable, and England beat them. Nothing more, nothing less in this 12 year-old eye. 1982-3 was the next series. Let’s skirt through the first three games. England got on top at Perth, but couldn’t win. I remember it only for the radio commentary on Terry Alderman’s injury, and the outrage that poured out. I also remember being completely turned off by Alan McGilivray’s commentary, in a way subsequent Australian commentators haven’t done. We lost in Brisbane because South African Kepler Wessels made a century on debut. Now this was funny. I remember the news showing the 30 second clip, and me thinking “hang about, he’s an Aussie? Didn’t he play for Sussex?” Remember him, Malcolm Conn, remember him? Then we lost in Adelaide, and were 2-0 down, a test match I only recall because Greg “only play at home now” Chappell made a century. So to the Boxing Day test. England needed to win both games to retain the Ashes. I remember only snippets of Day 1 from the news reports. I used to stay around my Aunt’s pub for Christmas, so play took place over Christmas night, and so when I woke up in the morning, the score was announced on Radio 2. No Ceefax in that house. Listening to the match reports, and then catching those ever so wonderful highlights, it appeared as though Tavare had gone, by his standards, berserk, and Allan Lamb joined him for the ride. We scored 280-odd. I remember nothing of the Aussie first innings, except, I think, they scored 280-odd. Same again with the 3rd innings, where England scored, if I recall, 280-odd. Setting Australia 280-odd to win. Actual scores 284. 287, 294 setting 292 to win. Not bad if I say so myself. It has been 36 years! 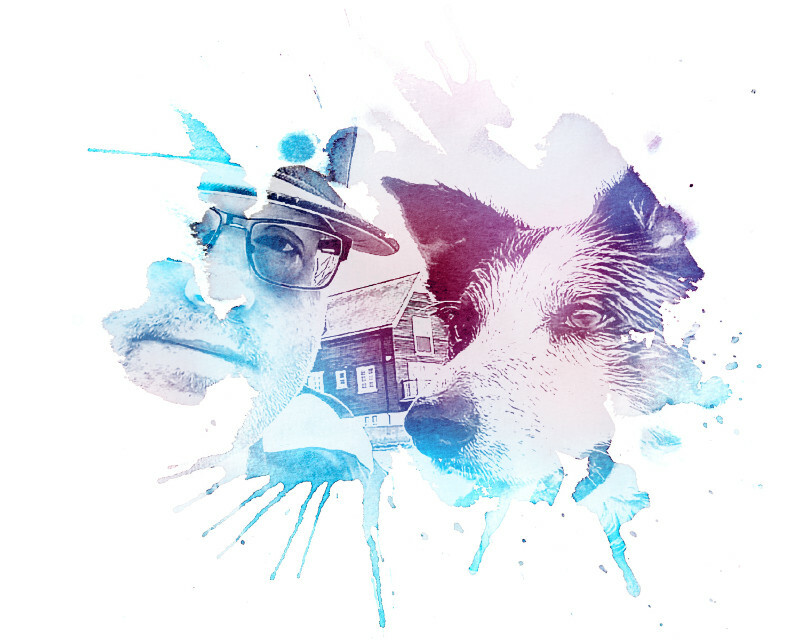 The fourth day was one of those legendary radio listening under the bedclothes nights – given it was school holidays – and trying to sleep in between. 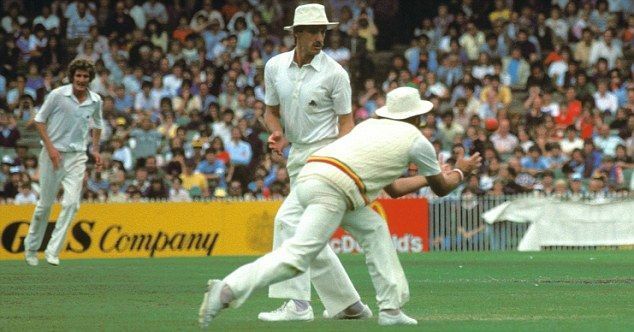 In no real order I recall Norman Cowans getting Greg Chappell caught in the covers by a sub fielder who was our reserve wicket-keeper. Yep, checked it up and it was Ian Gould. I remember hearing a wicket after a bit of a partnership where Bob Taylor took a phenomenal catch off a bat-body combo. It looked to be Kim Hughes. I heard England get to 8 down and settled down for some sleep. When I woke up, and heard the news that Australia had lost their 9th wicket soon after, but that the game was not over, because Allan Border and Jeff Thomson had put on 40 of the 75 or so they needed to win, I thought uh-oh. Because Border had been in no sort of form that series, and it appeared as though we had played him into it. So we remember the next day. There was no live TV coverage, so radios at midnight it would have to be. Mum and Dad even put it on the main “Music Centre” for us all to listen, except my brother who went to sleep. He wasn’t a cricket fan. It was unbearable. And the runs ticked off. I got more upset that we were throwing this away. Hardly a hint of anything. And the runs ticked off. Thomson not looking like getting out, Border being his dogged self, taking the target down. Cowans, so great the day before, getting no joy. And the runs ticked down. 10, 5, 4. Willis was the skipper, and there was much cursing under my breath. Certainly no swearing. They’d let the crowd in for nothing, could only have got a ball. In modern ECB world, that behaviour would be laughed at. Then. Nick, Smack, time stood still, Miller, catch, what the hell happened. We’ve won. Bloody hell. What happened. Botham bowled, it was nicked, Tavare dropped it but Miller caught it. Pictures painted in my head. Australia would have to wait. Damn them. Then you had to wait until the following day’s LUNCHTIME news to see the dismissal. Kids, you don’t know you were born. Imagine watching Kenneth Kendall for 25 minutes, to catch the sport at the end. Yet that less, was more. Hanging on a 30 second clip. Now I sensed what Australia v England really meant. How those fragile muppets from 1981 would scrap. How they would not give in. Allan Border became a nemesis. That, people, is what test cricket is all about. The greatest game I had heard about. The most tense I’d been at listening to cricket. I’m not saying it was important, but Dyson went on to make a few, and any chance at a really quick start went. The first few days had some inclement weather around, Kim Hughes and Allan Border put the game out of reach on Day 4, and Eddie Hemmings made a 90-odd as nightwatchman. But Australia had the Ashes, and we would need to wait until 1985 to have a chance at getting them back. 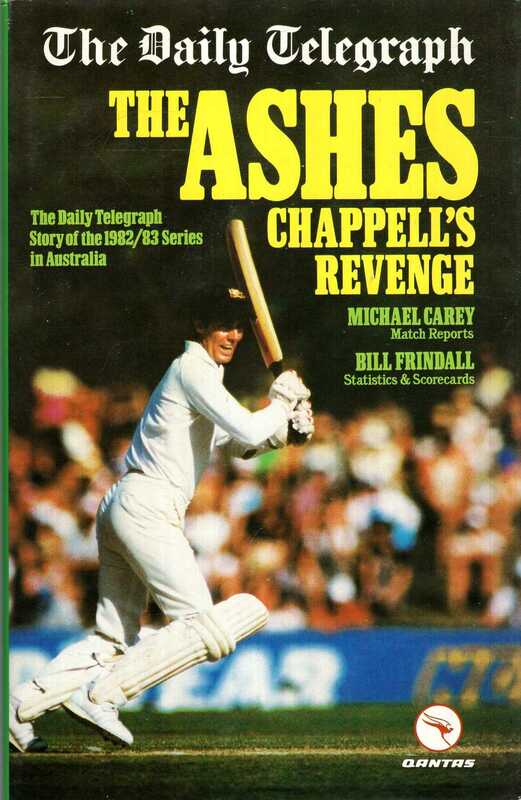 It was possibly 1985 that truly got the Ashes ingrained into me, and Australia as primary foe. Because until a controversial decision saw off an obdurate partnership at Edgbaston, it was quite possible that a poor Australian side might retain the Ashes, and that would have been a travesty. In between those two series Australia had had their tough times. First, in 1983, at the World Cup they failed to make the semi-finals – losing to Zimbabwe and also to a West Indies team where Winston Davis took seven wickets. There then followed a winter (for England) where they played 10 tests against the mighty West Indies. After the big three retired in the home summer (Lillee, Marsh and G Chappell), Kim Hughes took his squad to the West Indies and lost 3-0 in five matches. Competitive at Guyana until a declaration setting the West Indies 300+ to win saw Greenidge and Haynes make an unbroken partnership of 250, and threaten an unlikely win in just over 4 hours. The 2nd Test was drawn too, with Border’s unbeaten 98 in the first innings, and 100 in the second got Australia to safety. Tests 3, 4 and 5 were routs. A competitive 420 in the 1st innings in Bridgetown was followed by 97 in the second and a 10 wicket defeat; an innings defeat in the 4th test at Antigua, where Border was resistant, but no match for Richards and Richardson; and another 10 wicket defeat in the final game in Jamaica meant a 3-0 defeat. They had not taken a single West Indies second innings wicket in the entire series. But one man came out with his chin up, chest out, and reputation intact, and in fact enhanced. He would become more prominent, and a key Australian figure for years to come. The winter of 1984-5 saw the West Indies visit Australia. Having just annihilated England in the first of their two Blackwashes, the West Indies were on top of the world, and people were openly talking about changing the rules for them. Australia may have laughed at England’s plight, but they were soon to get a taste of the medicine. At Perth, in the 1st Test, West Indies made 416, and then Australia responded with 76. It was a hammering. 228 runs after following on, and the Aussies had succumbed by an innings again. At Brisbane, the visitors won by 8 wickets, losing their first second innings wickets against Australia in 7 tests chasing 26 to win. 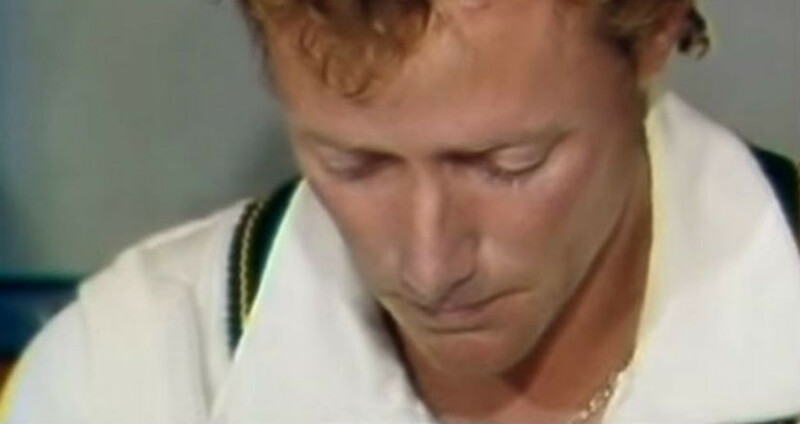 The match is probably most memorable for Kim Hughes resigning in tears. In an era where men crying left people very uncomfortable it was painful to watch, but sympathy was in scant supply. Some of us asked “what did Australia expect?” for they were playing generational greats. At this point we got the view that the Aussies didn’t exactly live in the real world, every bit as much as the English media. The new captain was Allan Border, who reportedly wasn’t overly enamoured by the task facing him. From the other side of the world he looked the only choice. His first test in charge was another heavy defeat at Adelaide, and an Aussie blackwash looked on. But at Melbourne there was an unlikely hero. It looked bleak – Viv making 208 in a first innings of 479. However, recalled Andrew Hilditch (70) and Kepler Wessels (90) set a foundation, and then another shocking partnership for the 10th wicket between Murray Bennett and Rodney Hogg, took the Aussies from 27 runs short of the follow-on to 16 runs past it. West Indies still set the Aussies all but the first 25 minutes of Day 5 to survive, which they did only just, losing 8 wickets, but with the new hero, Hilditch making a legendary century. The West Indies winning run came to an end. To everyone’s shock, on a spinning pitch at Sydney, the unbeaten run ended as well. Kepler Wessels made 173, the West Indies made 163 and 253 and beat the mighty visitors by an innings in the final test. Bob Holland, a leg-spinner, took 10 wickets in the match, Murray Bennett 6, both getting on the plane to England as a result, and with someone like me from the other side of the world thinking, simply, that a 3-1 home defeat was a lot better than our 5-0 smashing. 1985 was eagerly awaited. By this time I was our school’s scorer, so was in the scorebox, with my radio, listening to the test matches while watching my school team. It was a lovely summer once the O Levels were out of the way. There was now something alluring about playing the Aussies. Maybe Botham would lift himself, as he always did. The apartheid tourists would be returning after bans, so that meant Gooch for definite, but who else? And then there was the India issues. England had won a tremendous series in India the preceding winter, coming from 1-0 down. As Gooch was coming back, someone would have to make way as an opener, where Graeme Fowler and Tim Robinson had had excellent tours. Mike Gatting had come of age as an England batsman, with a super hundred in defeat in Bombay (Mumbai) and then a double hundred in the amazing win in Madras (Chennai). He was nailed on a place. Allan Lamb was ensconced at 5. Botham at 6. Downton was the keeper. The bowling had places up for grabs. The ODI series set some ominous messages. Allan Border was going to be a right royal pain in the derriere that summer. There are always those players that seem to have an air of invincibility about them, and he was that in 1985. His 59 was a key element in the run chase at Old Trafford – Botham having made his return after missing India with a 72 and a reverse sweep SNAFU – and then at Edgbaston in the second game his 85 not out covered Gooch’s return century to see the Aussies home. The pressure was on Gower who was now struggling for runs, but he and Gooch made hundreds at Lord’s as England won the third game comfortably. All set for the opening test. Having started the piece intending to get it to 1987 and the World Cup Final, I know it’s going to be 10000 words long before I get there, so let me put this first part up now, and pick up the 1985 series in the next one. But before I do, this era, from 81 to 85 was slim pickings for England, and going into the Ashes the win in India, not as coveted as it is now, was still a mighty achievement when England went into it without Ian Botham, The preceding four years without the talents of Gooch had been frustrating as the Essex opener pummelled county attacks but could not play for England. As a young kid, I had no comprehension of precisely what South Africa meant. Why would I? It was a vastly different world and newspapers at the time, especially at the one my dad printed, were telling me it wasn’t a bad thing. It was truly like that. Of course as I matured and learned, I felt that the decisions were absolutely correct, but at the time it felt like we were harming ourselves. Then the Aussies had it happen to them. So while 1981 was a triumph, a series we all recall if we are old enough, 1982-3 was a series where overnight listening on small radios wasn’t a cliche, but actually was what I did, and awaiting those half hour highlights programmes on BBC 2 was something exotic, and had that Melbourne test match, the 1985 Ashes looked like two quite evenly matched, if not brilliant quality compared to the West Indies, and the season whet the appetite. Six test matches, a summer of Ashes cricket. It felt like it had meaning.